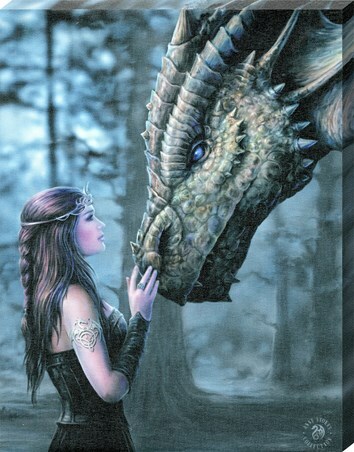 Art Canvas Print: Standing against a background of blurred trees under the moon light, a young dragon tamer strokes the muzzle of her companion in this stunning fantasy piece. 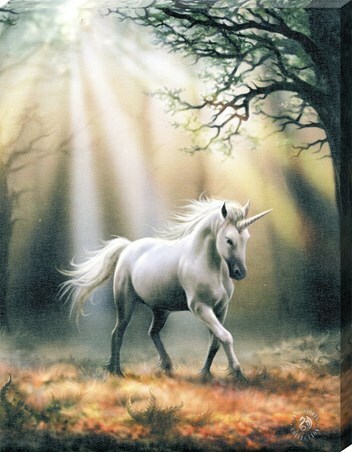 His lilac eyes glisten in the darkness as he looks into the soul of his teacher, connecting on a level beyond what is perceived. 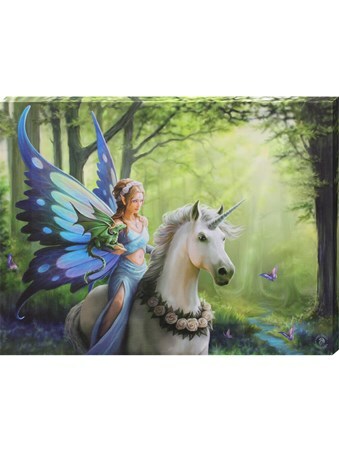 Perfect for fans of Anne Stokes incredible fantasy art work, this enchanting canvas print will whisk you away to a world of unbridled adventures and mythical creatures. 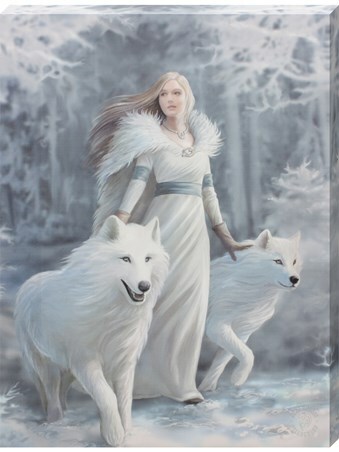 High quality, framed Once Upon A Time Canvas Print, Anne Stokes canvas print with a bespoke frame by our custom framing service.